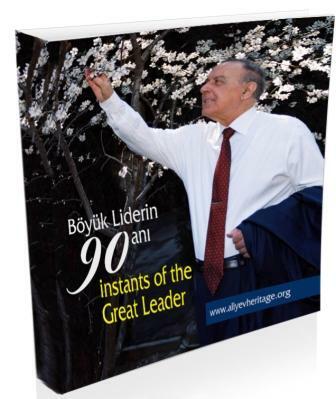 “Heydar Aliyev Heritage Research Center” has published its new photo-album named “90 Instants of Great Leader”. The photo-album, which is dedicated to the 90th anniversary of the national leader of the Azerbaijani people Heydar Aliyev, reads about 90 instants of the leader’s activity in the years of 1993-2003. Besides the photos taken by Rafiq Baghirov, who accompanied Heydar Aliyev within ten years, the photo-album is included historical references on certain instants and quotes from Heydar Aliyev’s speeches.